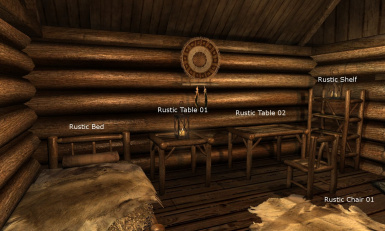 A conversion of Stroti's Rustic Furniture Resource. Update in V 1.2: Reworked the meshes to make them look less glossy. Optimized the collision. 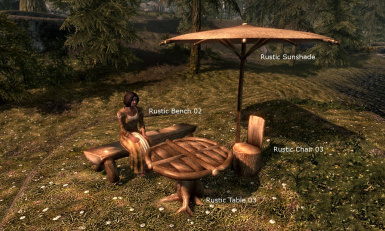 The furniture will look slightly different from the Oblivion version as Oblivion's assets could not be re-used. Instead, the textures have been replaced with a mixture of custom textures. 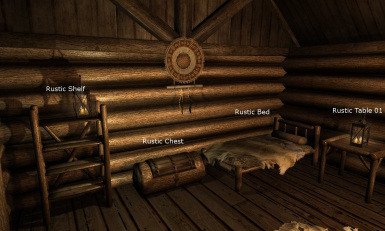 In version 1.1 the rustic chest has been replaced with a nif with working collision. In version 1.2: Reworked the meshes to make them look less glossy. Optimized the collision. 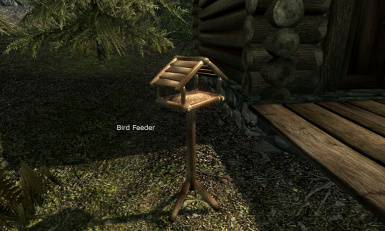 This is a modder's resource. 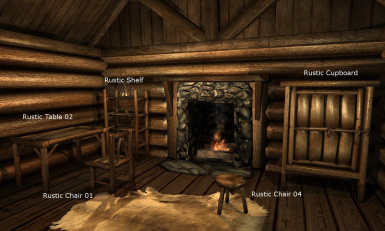 You may use the meshes and textures for your own mods as long as you give credit and you do not charge money for it. 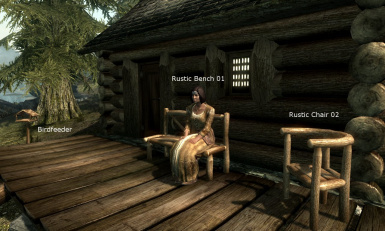 Bethesda for Skyrim and the Creation Kit .